Although home-based child care is a widely-used form of non-parental child care, relatively little is known about the home-based provider workforce and their beliefs and practices related to children and families. This study validates a previously identified typology of listed home-based child care providers (Hooper and Hallam, Early Child Res Q 47:194–205, 2019). The typology categorizes providers based on their beliefs and self-reported practices, rather than by licensing status or other structural characteristics. The current study uses exploratory and confirmatory latent profile analysis (LPA) to categorize a statewide sample of home-based child care providers (n = 234). 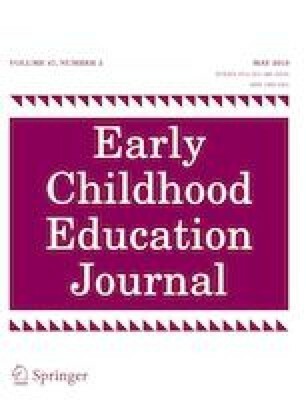 Results of the confirmatory LPA suggest that the original typology identified in previous analysis of a nationally representative sample—Educationally Focused, Educationally Aware, and Caregiver profiles—fit the data well. However, an additional profile of Highly Engaged providers emerged in the exploratory analysis. Using the results of the profile analyses, I discuss implications for designing and implementing quality improvement supports for home-based child care providers to support them in providing high-quality child care. The project described was supported by the OPRE Child Care Research Scholars Dissertation Grant, Grant Number 90YE0160, from the Office of Planning, Research and Evaluation, Administration for Children and Families, U.S. Department of Health and Human Services. The author acknowledges Rena Hallam and Danielle Riser for their assistance with this project. Hallam, R., Hooper, A., Bargreen, K., Buell, M., & Han, M. (2017). A two-state study of family child care engagement in Quality Rating and Improvement Systems: A mixed-methods analysis. Early Education and Development, 1–15. https://doi.org/10.1080/10409289.2017.1303306. QRIS Compendium. (nd). QRIS compendium state profile reports. Retrieved from http://qriscompendium.org/. Smith, S., Schneider, W. J., & Kreader, J. L. (2010). Features of professional development and on-site assistance in child care quality rating improvement systems: A survey of state-wide systems. Retrieved from National Center for Children in Poverty website: http://academiccommons.columbia.edu/catalog/ac:135705.